When friendships end it’s often because of an argument or a betrayal. There are the disagreements you hold onto and those you look back years later unable to recall what the fight was about. But that didn’t happen with my friend Jeffrey. His was a friendship that simply faded away. A successful child actor, Jeffrey was in the very first reading of my very first play. I was 18, and Jeffrey was still in high school. It was a friendship that would last another 10 years as we navigated New York together. 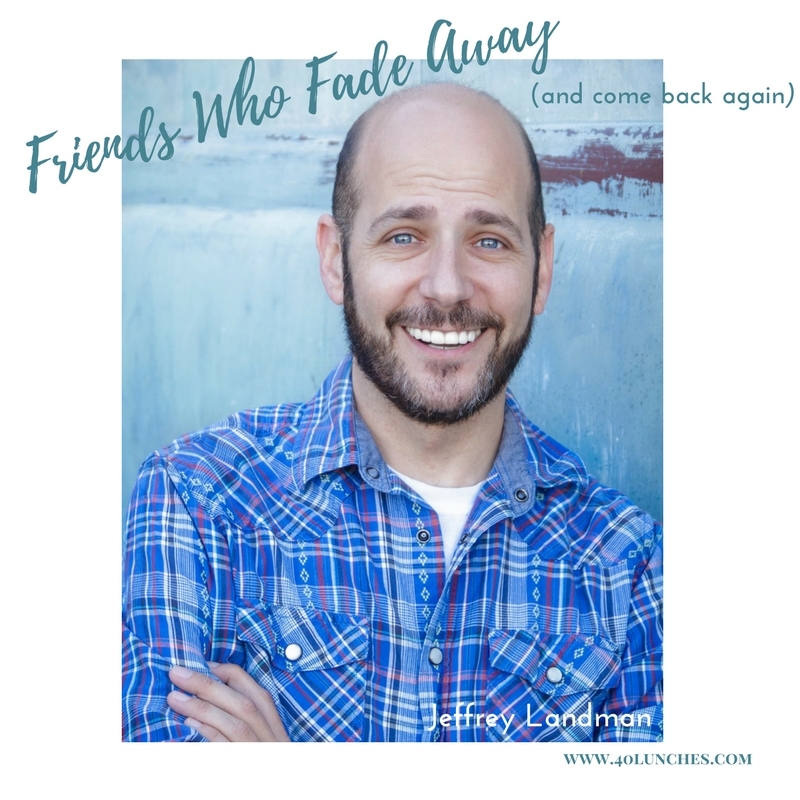 A Broadway veteran with film and commercial credits, Jeffrey loved to perform. He was one of those people who looks most alive on stage. Quirky and endearing, Jeffrey and I spent countless Thursday nights at Brandy’s piano bar on the Upper West Side where Jeffrey would sing, and I would sit at the bar drinking Coke. We went to parties and shows, did volunteer work, and celebrated openings, birthdays, and graduations. One year for my birthday he and a friend spent hours illegally copying VHS tapes so that they could give me the entire collection of Robert Sean Leonard movies. That’s friendship. When I got a PR job working for Isabella Rossellini, I hired Jeffrey for an event. We ended up in a suite at the Carlisle Hotel where we took bubble baths and jumped on the beds. But then something happened and our relationship changed. It started gradually, but then he moved to LA and we were no longer physically present in one another’s lives. The phone calls and emails became less frequent, until soon they weren’t returned at all. There wasn’t a defining moment to mark the end of the friendship; we just slowly slipped away from one another. I knew I would reach out to him for the 40 Lunches Project. After all, Jeffrey was a big part of how I defined my 20’s. There are albums full of pictures from the Jeffrey Years and stories that can’t be told without him in the cast of characters. I wasn’t sure if he would want to meet me. He had reached out to me a time or two, and I didn’t respond; I don’t even remember why. But Jeffrey did respond, and we quickly went to work trying to plan the logistics. Our lunch was really just a short coffee date at a random Starbucks close to the Long Beach airport in California. I see him sitting in the window when I arrive; he looks happy and healthy. We catch up on the past 12 years. It’s a lot of territory to cover. But too quickly the visit comes to an end. Jeffrey has to get to work and I have to drive to LA for another visit. Our time together was cut short, so I didn’t get to ask him about our break up. I thought about not asking and just letting it go, but instead we continued the conversation over email. Maybe it was better that way, safer. I ask him if he remembers why we stopped talking. He writes back: “I think it was as simple as people growing apart.” And that was true. We found ourselves in very different places in our lives. But now we are adults and we can be honest with ourselves and with one another. He continues, “One of the hardest parts of getting older for me has been reevaluating things like that and realizing how poorly I handled normal growing up changes, you know?” I think we all have moments in our lives like that. I left our visit unsure of where it would all lead, but also feeling grateful to have a history with a person who is part of some of my favorite memories. He is still doing something he loves, is happy, healthy, and living a good life. Since our visit there have been other emails and opportunities to follow along with one another on social media. I think one of the most gratifying things about becoming an adult is that more often than not, we can look back at our past with new eyes and objectivity. Sometimes we grow apart, then we grow up, and perhaps if those old wounds have healed, we can grow back together. I loved this and so true about growing back together with time and maturity.